There have been lots of devices revealed at MWC 2018 this week, and it is little surprise that there are handsets copying the look of Apple's iPhone X. 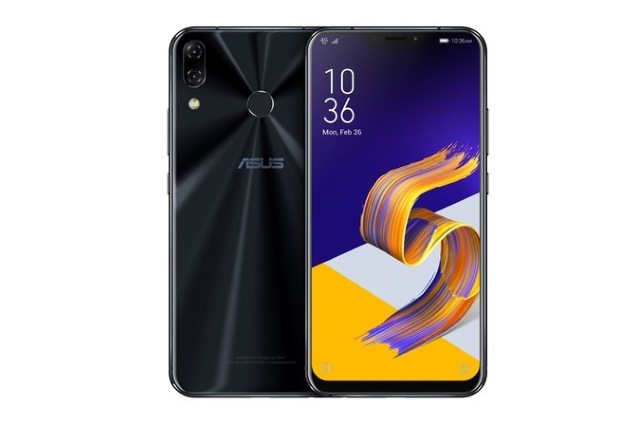 In this number are the ASUS ZenFone 5 and ZenFone 5Z, both of which feature a controversial "notch" at the top of their screens. It is clear the look of the latest ZenFones have been inspired by the iPhone X, and it's hard to imagine that Apple's lawyers are not considering allegations of plagiarism. In all, there are three phones in the family: the high-end ZenFone 5Z, the mid-range ZenFone 5, and the budget ZenFone 5Q (known at the ZenFone 5 Lite in some parts of the world). The top of the ranger -- the ZenFone 5Z -- is a 6.2-inch model, powered by a Qualcomm Snapdragon 845 and backed up by 6GB of RAM. The display has a Full HD+ resolution of 2246 x 1080, and there's a high screen to body ratio (90 percent). As mentioned, there is an iPhone X-style notch, but ASUS is quick to point out that it is 26 percent smaller than Apple's offering. There's dual-SIM support, Bluetooth 5.0 -- there's even a very retro-feeling FM radio -- and the asking price is $499. The next stage down -- the ZenFone 5 -- also features a Full HD+, 2246 x 1080 screen (complete with notch), but this time around there's a Qualcomm Snapdragon 636 and either 4 or 6GB of RAM. There are the same 12 and 8MP cameras as on its more expensive sibling, but autofocus and image stabilization are handled differently. It will be available in Midnight Blue and Meteor Silver when it is released later this year, and ASUS has not revealed the pricing yet. The "bottom of the range" ZenFone 5 option -- although it's still perfectly capable -- is the ZenFone 5Q / ZenFone 5 Lite. This has a 6-inch QHD (2160 x 1080) display with a 18:9 aspect ratio, but this time around there is no notch. This phone has a more traditional design, but the front of the device is still devoid of a home button. Processor-wise, there's just a Qualcomm Snapdragon 630, but with this handset, it's the cameras that ASUS wants to grab your attention: dual 16 and 20MP dual cameras on the front and rear. Again, there's no pricing, but the phone will be available in Midnight Black, Moonlight White and Rouge Red later this year.